Economic Developers Alberta is an internationally recognized organization with world-class programs and services. SDG Leadership Award: Economic Developers Alberta (EDA) has received an SDG Leadership Award for its Economic Recovery and Resiliency Program. The Global Compact Network Canada (GCNC), the Canadian network of the UN Global Compact, organizes the award. These awards recognize Canadian organizations that are helping to advance the 17 Sustainable Development Goals in Canada and inspiring others to take action. 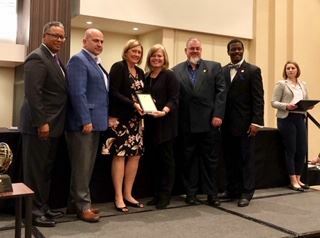 EDA CEO Leann Hackman-Carty received the Emergency Management Exemplary Service Award for her work in economic disaster recovery and community resilience. Read about EDA's Disaster Recovery and Resilience Program here. This award is given by Public Safety Canada. 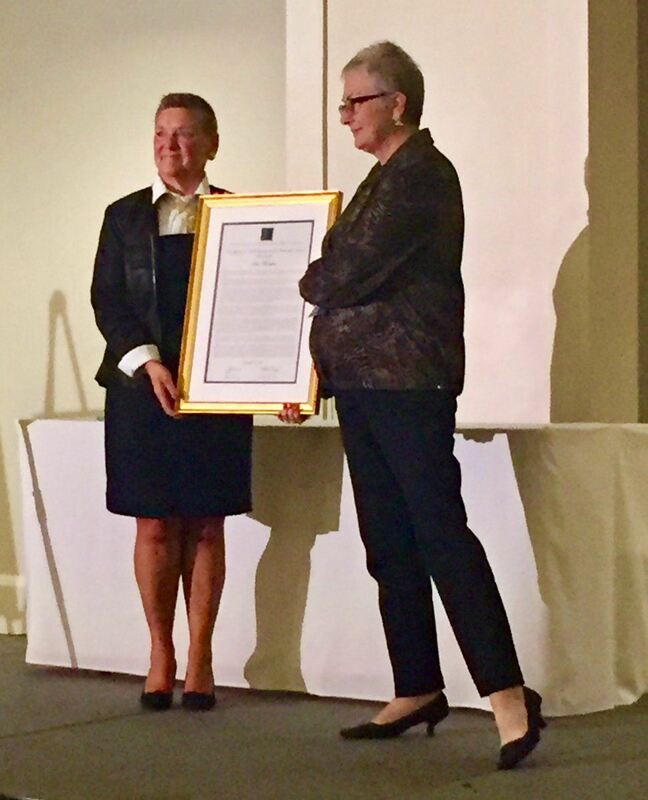 Bev Thornton, Executive Director of Alberta SouthWest Regional Economic Development Alliance and President, Economic Developers Alberta (EDA) received the Jeffrey A. Finkle Organizational Leadership Award from the International Economic Development Council (IEDC). Ms. Thornton is the first Canadian to receive this award. EDA received this award for the Wood Buffalo Business Recovery Hotline. In the beginning of May, 2016 a wildfire swept through the Regional Municipality of Wood Buffalo (RMWB) including the City of Fort McMurray. In disasters such as this, it is important to note that economic developers also have a critical role in economic and business recovery. By helping to get businesses back on their feet, livelihoods are restored, and business and economic recovery efforts are accelerated. On May 30, 2016, EDA established the Wood Buffalo Business Recovery Hotline in Calgary, Alberta. The Hotline was designed to register small businesses, gather information about their immediate needs and provide access to various resources, including providing emergency financial relief on behalf of the Canadian Red Cross. The Hotline was developed and operated by EDA, in close collaboration with the RMWB.